A love for children is a must for pediatric CNAs. 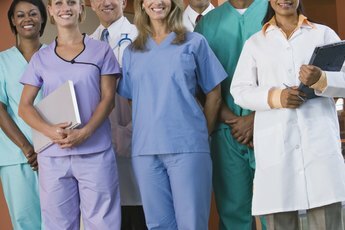 Certified nursing assistants, or CNAs, are the backbone of the health-care industry. They provide much of the hands-on care patients need, including bathing, dressing, feeding and helping patients to the bathroom. As the CNA Test Coach webpage points out, CNAs help to maintain a patient's quality of life. A pediatric CNA works with children. This can be in a daycare, a private home, a pediatrician's office or on the pediatric ward of a hospital. Complete your high school education. Though this isn't required by every employer, it's a good foundation to build from, says the U.S. Bureau of Labor Statistics, as many employers do expect it. You can graduate from high school or you can earn your GED. Attend a CNA course. Courses are available at technical and trade schools, and some high schools offer courses, as well, says the Bureau of Labor Statistics. Education-Portal notes that CNA training courses are typically 120 hours of combined classwork, laboratory work and clinical work. 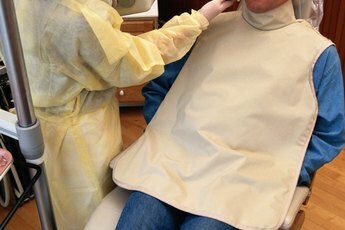 They cover subjects such as vital signs, hygiene and infection control. Pass your final exam and earn your state's certification. Once you pass the test, your name is added to the state registry of CNAs. This is a requirement to work in some states, says the Bureau of Labor Statistics, though not all. Some states also require students to pass a criminal background check prior to taking the exam, says Education-Portal. Apply for work in pediatrics. There are no CNA classes that specialize in childcare, according to CNA Test Coach. Rather, you'll learn skills specific to pediatrics while on the job. 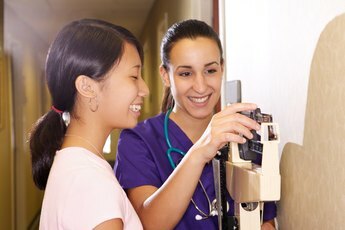 As you become familiar with the duties inherent to the job and get experience under your belt, you'll build your reputation as a CNA specializing in pediatrics. Get CPR training; some employers require it. Depending on the state you work in, you may need continuing education to maintain your certificate.